PM Modi reviews flood situation in Assam & North East. — Eminent Historian and noted Epigraphist, Sadanand Agrawal passed away in Balangir. He was 65. — Flood situation in Jajpur improved; Situation remains grim in Kendrapara. — J&K: Two terrorists killed in an encounter with security forces in Pulwama; Search operation underway. — West Bengal flood toll rises to 39 with 5 more deaths. 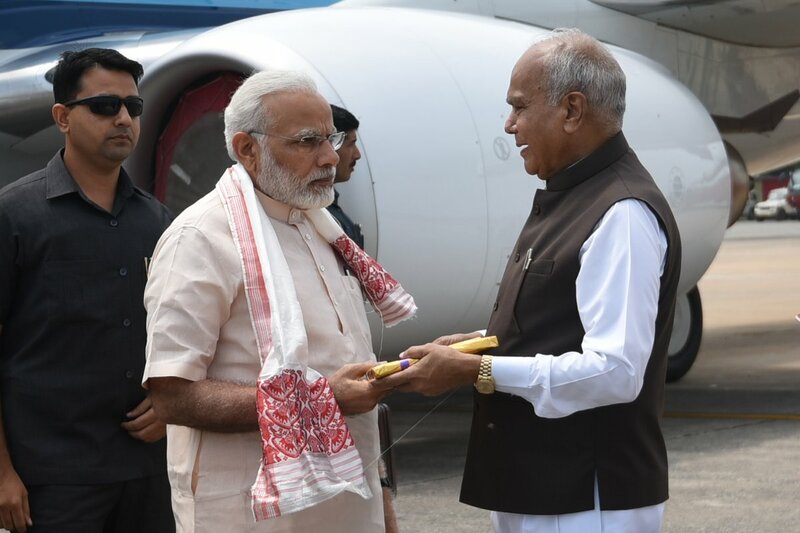 — PM Modi arrives in Guwahati; will take stock of flood affected areas in Assam. — Mumbai: BMC Headquarter light up to mark its 124th anniversary today. — Pakistan National Assembly to pick 18th Prime Minister today; PML-N Shahid Khaqan Abbasi leads the race. — Deaflympics 2017: Deaf players including medal winners refuse to leave Delhi airport, complain no one from the Govt is there to receive them.